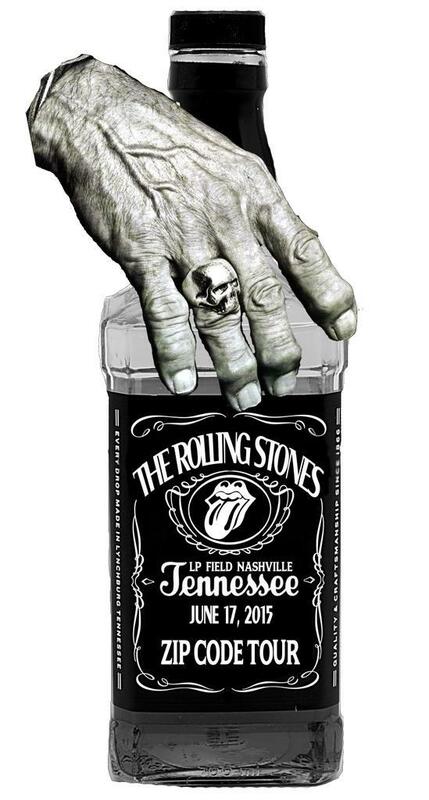 This thread is for live updates and comments regarding The Rolling Stones Nashville TN USA 17-June-2015 show. Please tell us your pre- and post-show thoughts and comments here. Nashville is on Central Time in America. Add 7 hours for Central European time, add 6 hours for UK time and so on. Edited 2 time(s). Last edit at 2015-06-17 18:06 by bv. I will be sharing updates throughout the day on Twitter, and will be Periscoping the show. My profile url is below..
Periscope links will go live at the above url along with photos etc. I won't be posting on the forum today but I will be tweeting throughout the day/evening. Hope we get a great show! Looking forward to follow your stream Drake! Enjoy yourself! Great! Have a nice concert, Drake! Was about to get ready and leave then thanks to this thread was reminded Nashville is on Central Time.... I would have got there before my parking lot opened! Wish I had remembered before I went to sleep, I could have used that extra hour of sleep! Oh well, Stones on stage tonight!!! AFTERNOON HEAT INDEX READINGS IN THE UPPER 90S TO THE LOWER 100S. JUST FOR A FEW MOMENTS. BEAT THE HEAT...CHECK THE BACKSEAT. FYI for out of towners: There's a pedestrian bridge located right in front of the Schermerhorn Symphony Hall that dumps out into one of the parking lots at LP. If things are really a mess you could also walk over the Korean Veterans Blvd. bridge - this would be an option if you were trying to park pretty far south of the Music City Center. Edited 2 time(s). Last edit at 2015-06-17 21:13 by tnhybrid. Hot weather tip- Gatorade(and others like that) is good stuff. They call them sports drinks, but they are designed to keep you healthy and hydrated. OK ladies and gentleman. It is game day in Nashville. I think you might get something special tonight. Nashville is loaded with stars and tonight it is the biggest and brightest of them all. The GREATEST ROCK AND ROLL BAND IN THE WORLD. Ladies and Gentleman. "THE ROLLING STONES". Edited 2 time(s). Last edit at 2015-06-17 21:20 by RRMan13. I follow you! Nice to post your twitter beforehand. That's a very nice and generous gift for us, who can't make it to the show. So we all will be there with you! That just @#$%&' fantstic! I follow you! Nice to post your twitter beforehand. That's a very nice and generous gift for us, who can't make it to the show. So we all will be there with you! That just @#$%&' fantastic! Just reminds me of a myth busters type program I saw where they tested peoples ability to recover from physical stress. Various sports drinks were tested against water and chocolate milk. Chocolate milk was the winner by a country mile. Unfortunately beer wasn't in the list or it would have surely left chocolate milk in the dust. I don't recommend Keith's 1976 recipe of salt pills, vitamins, heroin, cocaine and Jack Daniel's... you won't be healthy and hydrated but on the other hand you probably won't care too much. Judging by those shadows, that picture was taken early today or late yesterday. Judging by the shadow, Mick has the legs of a goat or something. "Or something" is the best you can do after all these decades? Hope you'll guess his name! Thanks. I just called LP Field to ask about water/water bottles, and was told "no water or water bottles, but we have water fountains or you can buy our water." This rule should change for all outdoor venues for days like this. At least allow a clear water bottle you can fill inside. Trying to leave some to the readers imagination... What would StonesTod do? Another pic at the Parthenon. Gotta admit it looks like they move him around like a prop.